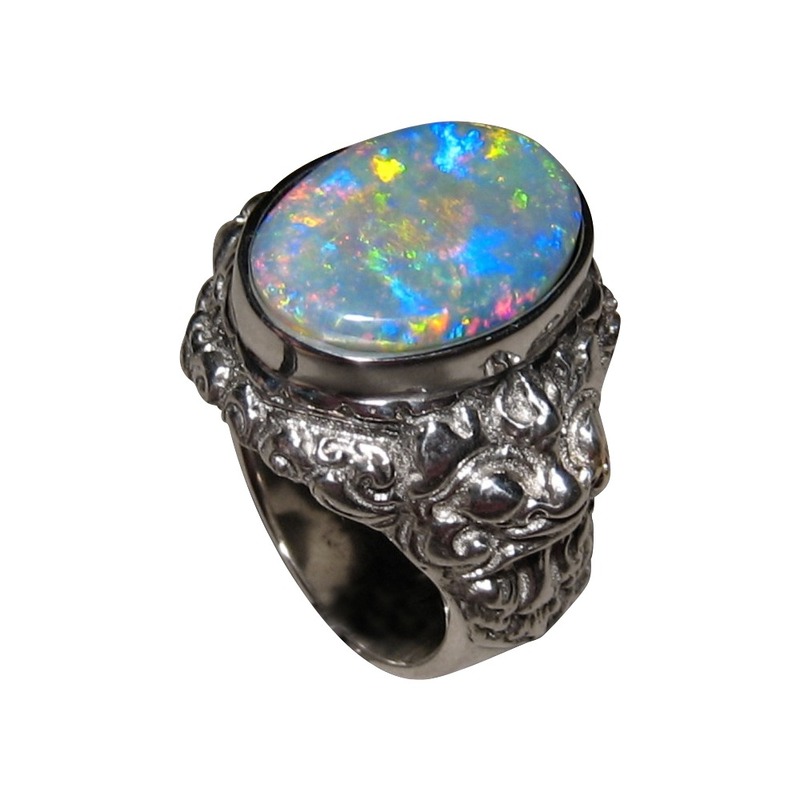 A very big Opal ring for men with a large oval Opal set in a Silver Lion Barong ring. 14k Gold is available. 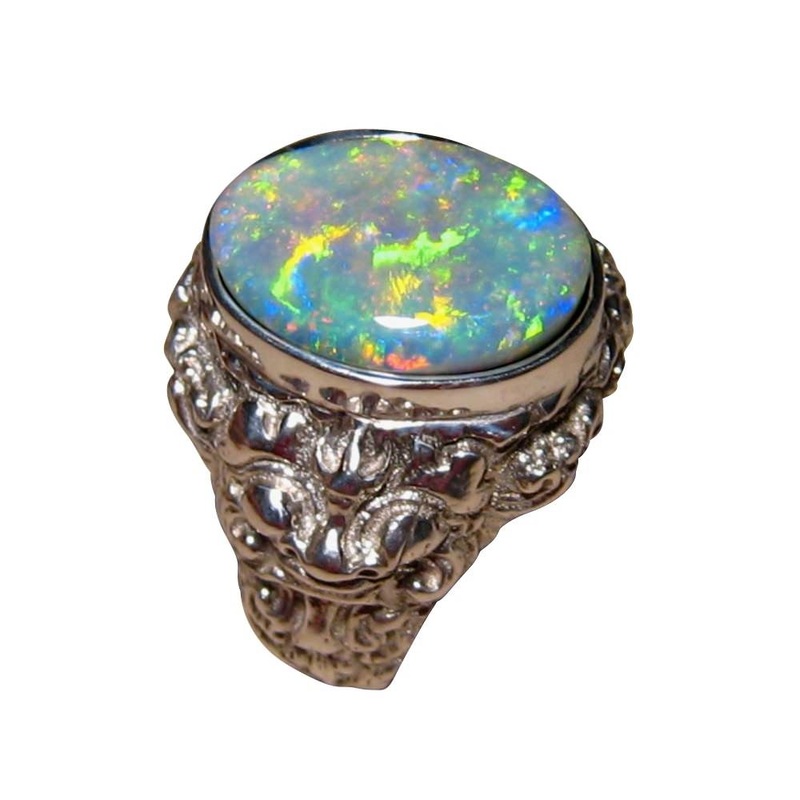 An Opal ring for men that is substantial in size, metal weight and Opal weight. Shown in a 925 Silver ring which alone weighs 28 grams, it has a Balinese design of a Lion Barong and the information about this design is below. 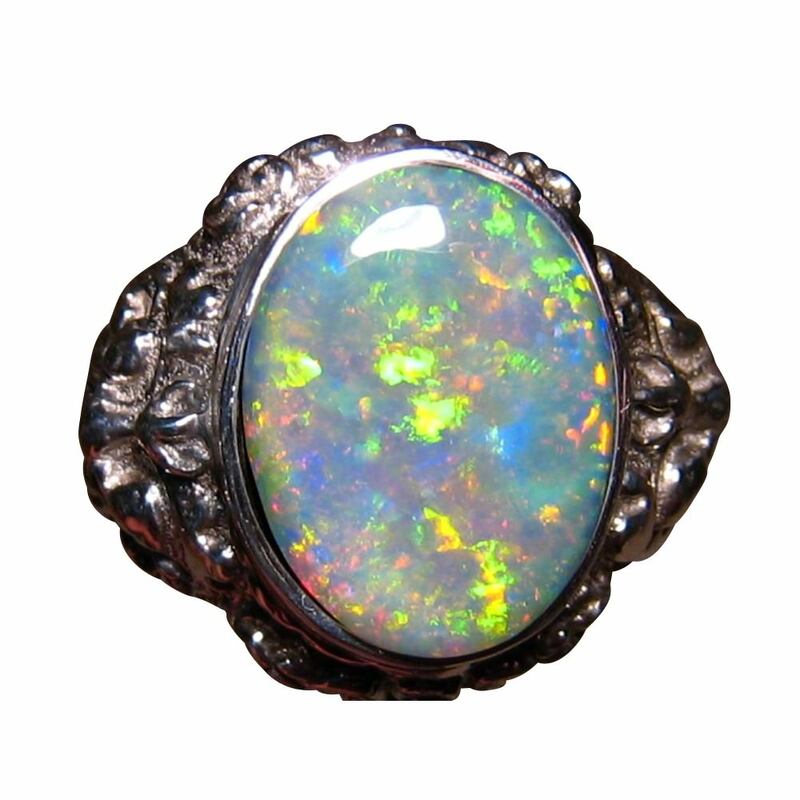 The Coober Pedy Crystal Opal is impressive with size and color and sets this ring off to be the standout feature. 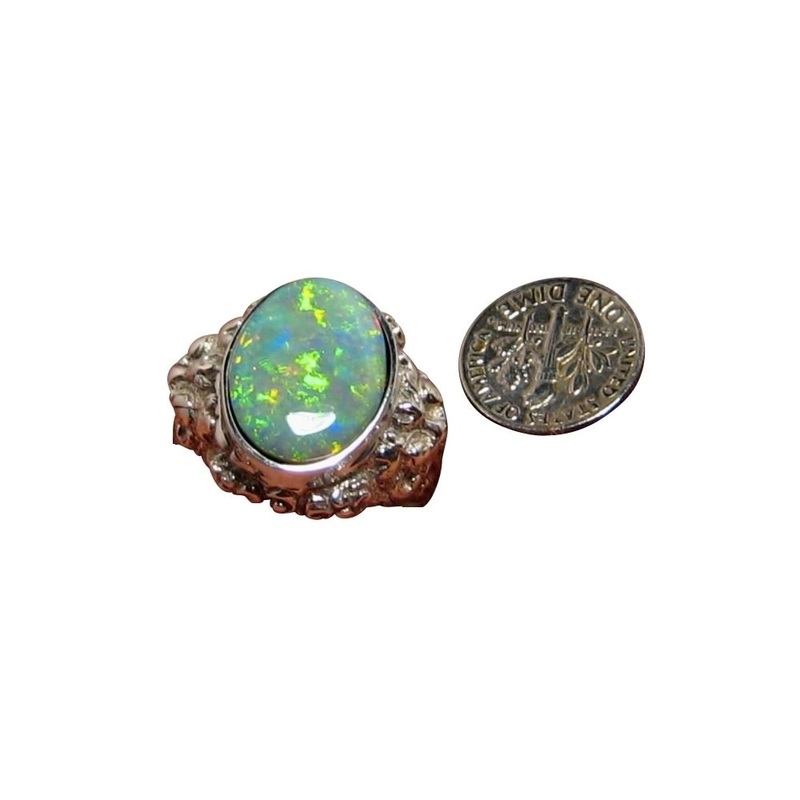 This ring has been sold however if you would like a similar ring Made to Order contact through this product page to inquire about availability and receive a no obligation price quote. ABOUT THE BARONG. The Lion Barong is one of five traditional Barong. In Bali, each region of the island has its own protective spirit for its forests and lands. Each Barong for each region is modeled after a different animal. There is a boar, a tiger, a dragon (or serpent) and the traditional lion. The lion is the popular one as it comes from the Gianyar region of Ubud.